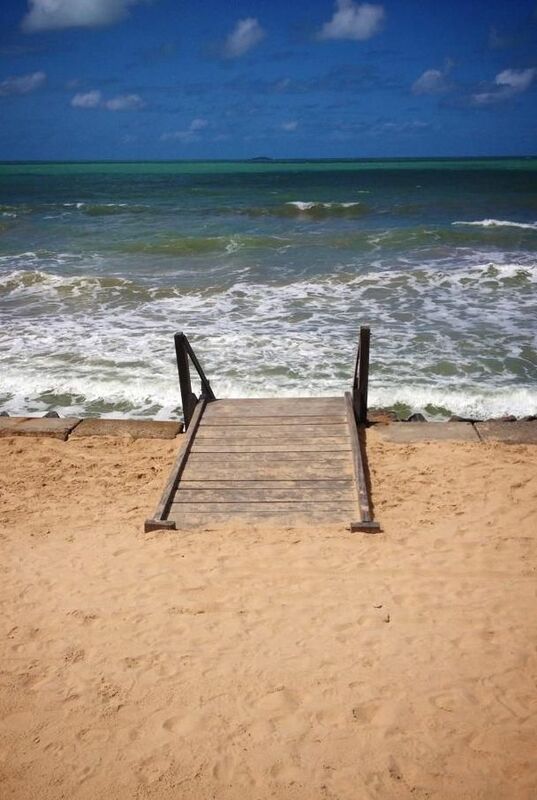 Who is swimming naked in CESEE? A tidal wave of liquidity has tightened sovereign bond spreads across CESEE in the last decade. As global rates rise, differences in fundamentals will become clearer. Hard currency sovereign debt markets in Central, East and Southeast Europe (CESEE) have experienced a strong bull run in recent years, reflecting the compression of global interest rates. However, with the US Federal Reserve starting to tighten, and the European Central Bank (ECB) set to begin unwinding stimulus measures by next year, this trend has started to turn. There are questions about how well prepared the region is for higher global rates. Overall, we find that CESEE is not in a markedly better position to deal with a sharp rise in yields than it was 10 years ago, at the time of the global financial crisis. In some cases, it is clearly in a worse position. Beyond the next few years, negative demographic trends, institutional deficiencies and sluggish productivity growth create a challenging outlook for sovereigns in the region. Fiscal: We find that public debt/GDP levels have risen everywhere except Turkey since 2007. 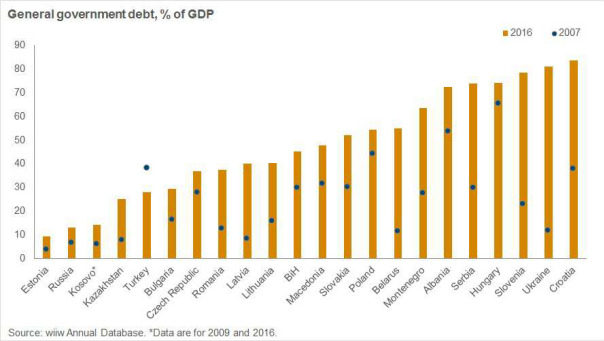 However, only seven countries have debt/GDP levels above 60%: Montenegro, Albania, Serbia, Hungary, Slovenia, Ukraine and Croatia. External: Current account deficits have generally narrowed or even flipped into surplus across the region since 2007, reflecting growing export sectors and/or the suppression of domestic demand. However, external debt has generally risen, materially in some cases (Albania, Belarus and Ukraine). The funding currency is also important. Countries exposed primarily to euro rates are in a much stronger position, with the ECB set to withdraw liquidity but unlikely to raise interest rates in the next few years. Those reliant on dollar funding will face bigger challenges. From this perspective, Turkey looks particularly vulnerable. Growth: This is the area where the most visible deterioration since 2007 is visible (although it is worth noting that growth has also fallen in developed markets; overall growth in CESEE is still around 2 percentage points above the EU average). Almost every country in CESEE grew more slowly in the three years to 2016 than in the three years to 2007. In two countries – Ukraine and Belarus – the difference was more than 10 percentage points. In a further eight – Lithuania, Latvia, Kazakhstan, Serbia, Montenegro, Russia, Macedonia and Slovenia – the difference was 5 percentage points or more. Our forecasts suggest that this will not change dramatically in the coming years. Political and structural: In terms of political risk, there is sharp differentiation across CESEE, split largely along the lines of EU members versus non-EU members. We find that Ukraine, Belarus, Bosnia and Herzegovina, Turkey, Kosovo and Kazakhstan are particularly risky, while the Czech Republic, Slovakia and Slovenia are the safest. Meanwhile, World Bank governance indicators show that, broadly, countries facing difficult governance challenges have improved over the past decade, while those that already performed well have largely stood still (although generally at a lower level than older EU members). A further relevant structural factor is the income level of the country, which is a proxy for how much the government can tax if it needs more funds to service sovereign debt obligations. One way to measure this is simply GDP per capita (at current exchange rates). On this measure, there is very sharp differentiation within the region; Slovenia’s GDP per capita is roughly 10 times that of Ukraine. Three potential triggers of the sovereign risk factors we have identified in EU-CEE stand out as particularly serious, in terms of their likelihood and impact. First, a Chinese debt crisis and ensuing global recession. Second, a renewed outbreak of the eurozone crisis, possibly driven by political developments in Spain and especially Italy, a country that is probably too big for the ECB to save if the bond market turns. Third, a sharper hikes in US rates than the market currently expects. We would put the chances of all three of these events below 50%, but equally the risks are non-negligible, and the impact of one or more materialising would be material and negative for CESEE. Meanwhile, political developments within some countries will also be important. Differentiation here is also key. The strength of populist parties in the Czech Republic, for example, is not especially concerning from a sovereign risk perspective. So far, the market also does not appear too worried about developments in Poland and Hungary, although this could change in the medium term. Meanwhile, adverse political shocks in Ukraine and certain Western Balkan countries could have material implications for sovereign creditworthiness, given the weakness of institutions. Belarus is a particular case, given that any change of power would be unlikely to be smooth, given the extreme rigidity of power structures and reliance on a single leader. It is hard to make a positive case for long-term growth in CESEE. Countries in the region are facing very negative demographic trends, and in general do not have a spectacular record on productivity growth (and do not have the education systems or investment levels to suggest that this will change materially). Without massive immigration or a huge surge in productivity (both highly unlikely), it is difficult to see how many CESEE economies will generate any kind of positive growth beyond the next 5-10 years. This is important for sovereign risk in CESEE now, given the extremely long maturities that some countries are borrowing for. 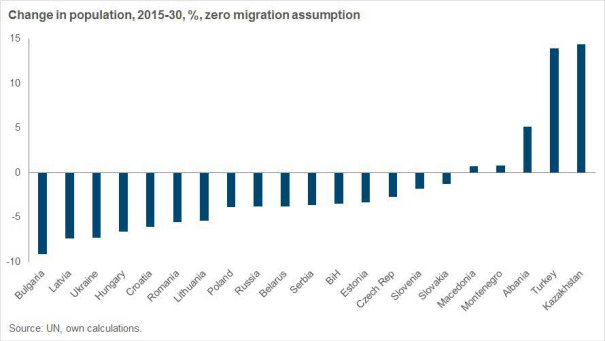 The Czech Republic has a 50-year bond, Slovakia and Russia have 20-year bonds, and Hungary has a 15-year bond. As a result, beyond the next few years, sovereign risk in CESEE is likely to rise. The Japanese scenario – successfully maintaining a very high debt load in the context of little or no growth – is not very feasible for most CESEE countries. Japan can print its own currency, enjoys excellent structural indicators, and has a very wealthy population to tax. As long-term interest rates rise, if bond markets lose faith in CESEE countries’ ability to generate decent and sustained levels of GDP growth, countries with high debt loads and poor long-term growth outlooks may run into trouble. Ukraine, Hungary, Croatia, Serbia and Slovenia all look particularly vulnerable when viewed in this way, although few CESEE states look immune to these risks. Those with strong structural indicators, a relatively high level of wealth, and low levels of private and public leverage (such as the Czech Republic) are in a stronger position. Those which look set to avoid demographic decline in the coming decades, namely Turkey, Albania and Kazakhstan, also have a major advantage, although this on its own is no guarantee of safety. This is a summary of an article that first appeared in our Autumn Forecast Report. For six months after publication, wiiw Forecast Reports are only available to members. To learn more about wiiw membership, click here.